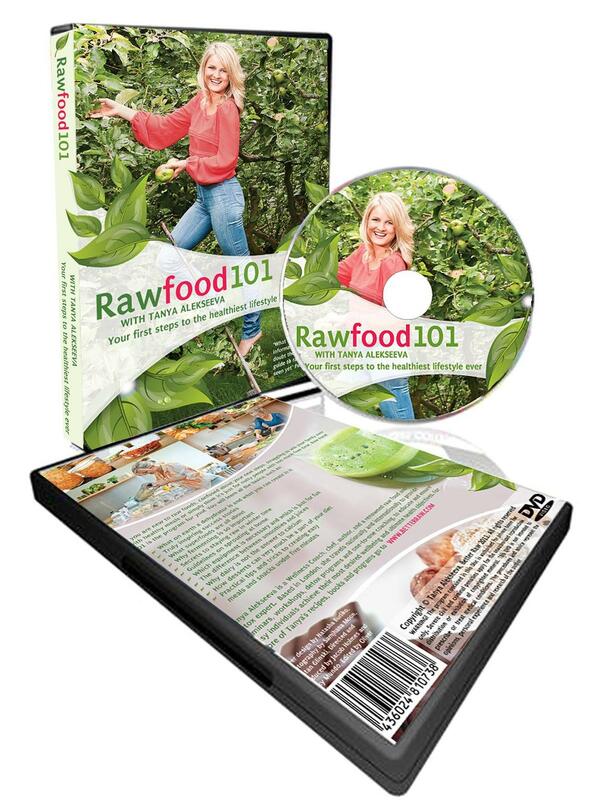 Home › Tanya's blog › Raw food 101 DVD is out now! 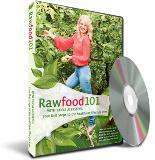 Raw food 101 DVD is out now! If you are new to raw foods, confused about your next steps, struggling to win your family over with healthy meals or simply think it’s just for nutty people with too much free time, Raw Food 101 is the program for you! In Tanya’s 2.5 hour class you will learn all the basics, such as: ◈ Which equipment is necessary and which is just for fun. ◈ What superfoods are all about. ◈ The difference between smoothies and juices. ◈ Why dairy is not the answer to calcium. ◈ Why fermenting is so important. ◈ What on earth a dehydrator is and what you can create in it. ◈ Secrets to staying raw in winter time. ◈ Guidelines on sprouting at home. ◈ Practical tips and tricks to creating easy meals and snacks in under five minutes. ◈ How desserts can very much be a part of your diet. ◈ Hear truly inspiring success stories. ◈ Designed in chapters for easy navigation. Chapters included are Equipment, Smoothies vs Juices, Calcium & Milks, Superfoods, Sprouting, Fermenting, Dehydrating, Flavours & Sauces, Easy meals, Sweets & Testimonials. ◈ Recipes include green smoothies, nut milks, hummus, granola, crackers, sauerkraut, cheese, spaghetti bolognaise, curry, sushi, chocolate, ice cream and more! "Tanya is one of the world's foremost experts on how to make the most of a vibrant raw lifestyle and diet. Her DVD will show you how to breathe new life into your raw food routine and create magic in your kitchen! Her beautiful food really is 'Better Raw'!" - How long is the running time of the DVD? - Is there a good proportion of main meals as well as tips and snacks/sides? - What would be the key differences between the DVD and the information in your 7 Day Detox program? CONGRATULATIONS!!!!! I have just received my copy in the mail and desperate for work to end so I can start watching it! Well done you, great job on being the first out with a complete beginners guide to RAW, don’t know of anything else like this out! Thank you so much! I’m excited!! The running time is approx 2,5 hours, which includes Q & A session with me, information everyone needs to know when starting out with Raw Foods, success stories and the majority of the dvd is devoted to clear recipe demonstrations full of tips. Hope that helps to answer your questions and that you’ll love the dvd!